November 29, 2016 marks Louisa May Alcott’s 184th birthday (1832). Today, she is best remembered for her book, Little Women. Here are some interesting tidbits you might not have known. Louisa May Alcott started publishing poems, short stories, thrillers, and juvenile tales in 1851 under the pen name Flora Fairfield. She also wrote under the pen name A.M. Barnard. It wasn’t until after the success of Hospital Sketches in 1863 that she started to write under her own name. Hospital Sketches was a personal account of her own Civil War experiences. She was determined to wait to use her given name until she was sure she was ready to commit to writing. Her parents were transcendentalists, a closely related off-shoot of Unitarianism. Transcendentalism parallels Unitarianism and encompasses much of the same doctrine emphasizing free conscience and the value of intellectual reason. Prominent intellectuals who were part of the movement include George Putnam, Ralph Waldo Emerson, and Frederic Henry Hedge. She was home-schooled by her father, Amos Bronson Alcott until the age of 16. She also studied informally with family friends David Thoreau, Ralph Waldo Emerson, and Theodore Parker. Louisa May Alcott worked as a domestic servant and teacher to help support her family from 1850 to 1862. She worked as a nurse in Washington, D.C. during the Civil War. The success of Little Women gave her financial independence after its publication in 1868. The book is loosely based on her childhood experiences growing up in Concord, Massachusetts. 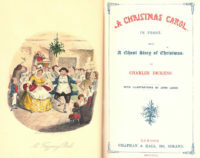 It was originally published as Little Women: or Meg, Jo, Beth, and Amy. She wrote several more stories for young people based on her family. Good Wives (Part Second) followed the March sisters into adulthood and marriage. Little Men revolves around the Plumfield School and Jo March’s life at the school she founded with her husband at the end of Good Wives. Jo’s Boys was published and in 1886 and completed the March family saga. Unlike Jo, the character based on her in Little Women, Louisa May Alcott never married. She took in her sister May’s daughter, who was also named Louisa, after May’s death in 1879 and cared for the girl until her own death in Boston on March 6, 1888 at the age of 55. Little Women has been made into a movie many times. Katherine Hepburn played Jo in the 1933 production. June Allyson starred in the 1949 version. It’s been done as a TV series, movie, and mini-series, too. It looks like there is a project currently in development, also! Take a look at our Civil War era dresses to get a glimpse into what the Alcott/March girls would have worn.